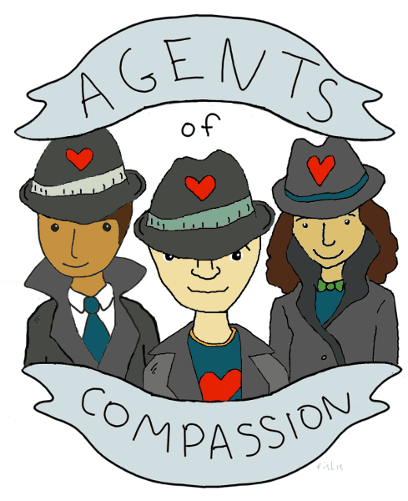 All Agents of Compassion receive Secret Missions each day during the annual Compassion Games (they are sent out “secretly” so you can remain anonymous if you choose to). Secret Missions of Compassion are a fun, simple, and meaningful way for an Agent (in other words, you!) to receive tangible ideas and inspiration for ways to participate during a coopetition. To receive Secret Missions, sign up for an upcoming coopetition! The Global Unity Compassion Games is a 11-day challenge to unify communities around the world in an expression of globally synchronized intentions with locally organized compassionate action. Learn more! View Missions from the past coopetitions below! Even if a coopetition is over or not currently happening, Secret Missions can be completed at any time! Take on missions to protect and restore Mother Earth! Take on missions to nourish harmony between people from all walks of life! Take on missions to hone our courage to become who we truly are! Take on missions to celebrate youth and their countless gifts! Take on missions to unify the One Human Family around the world! Below is a total archived list of all missions, beginning with the first iteration of the annual Compassion Games missions in 2013. New coopetitions were introduced in 2015 with the first Giving Games focusing specifically on youth and schools, later followed by the MLK Coopetition, World Interfaith Harmony Week, and Earth Week. The annual “Compassion Games” then became known as the Global Unity Games in 2016. As of September 2017, two annual, seasonal coopetitions will be offered in order to better serve communities and organize momentum around these events. The first is Protect the Sacred Earth Week in April, following in September by the Global Unity Games. Read the full story behind the history of the missions and “Secret Agents of Compassion” here!